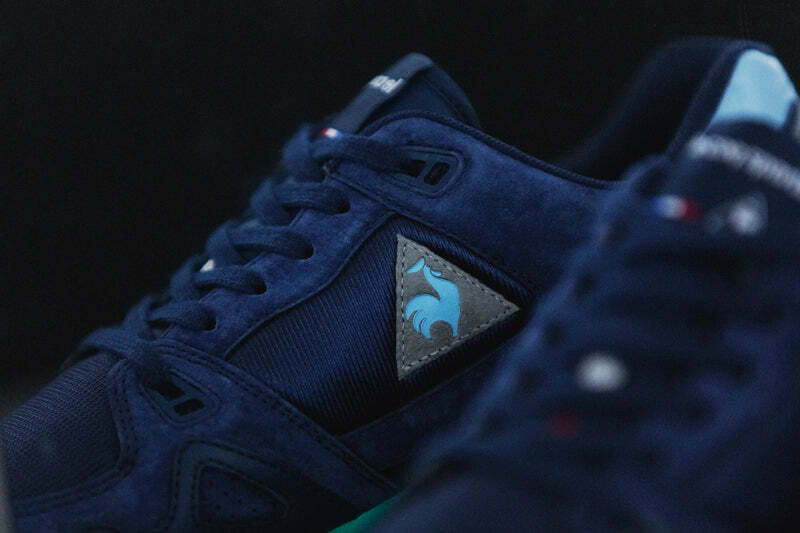 A close relationship with mita sneakers from 2014, le coq sportif and mita sneakers are teaming up with a pair of sneakers designed in Tokyo. 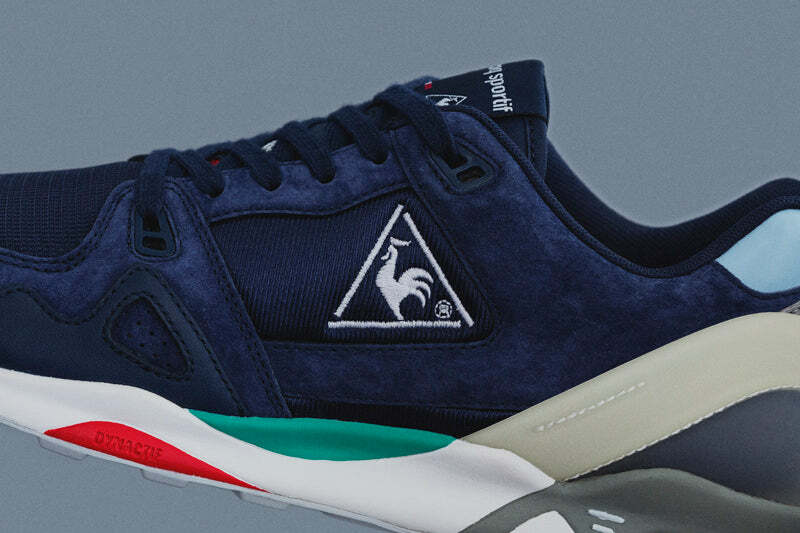 Le coq sportif has unveiled its latest collaboration developed by its teams in Tokyo with mita sneakers, one of Asia’s best-known shoe stores. With bearing a label « (Tokyo Custom Made)» exclusive for the special collaboration, this is the brand’s first official collaboration to create totally new concept with the Tokyo-based store, combining two traditional models in one hybrid pair. The sneakers are inspired by models from the ‘80s and ‘90s, in a surprising adaptation for current tastes. 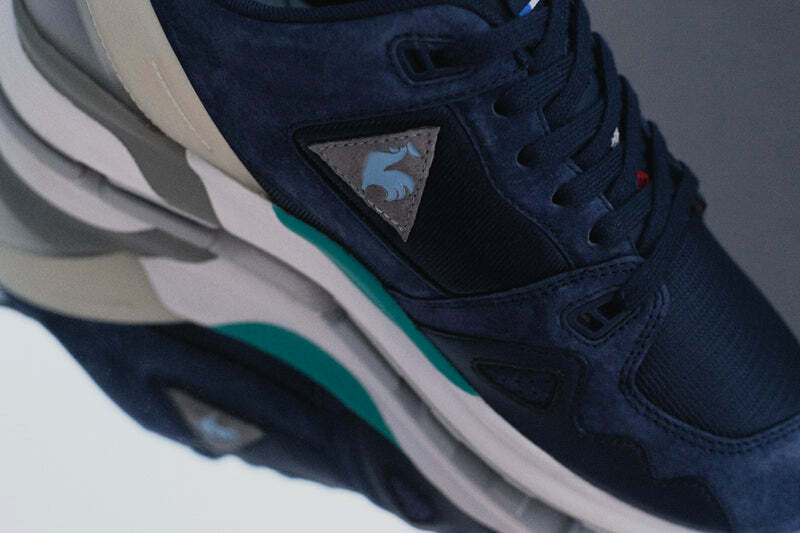 The exclusive LCS R 921 mita sneakers is a fusion of the technical LCS R 1000 (upper) and the LCS R XVI (sole and heel), including the Dynactif shock absorber system, which celebrated its 25th anniversary last year. 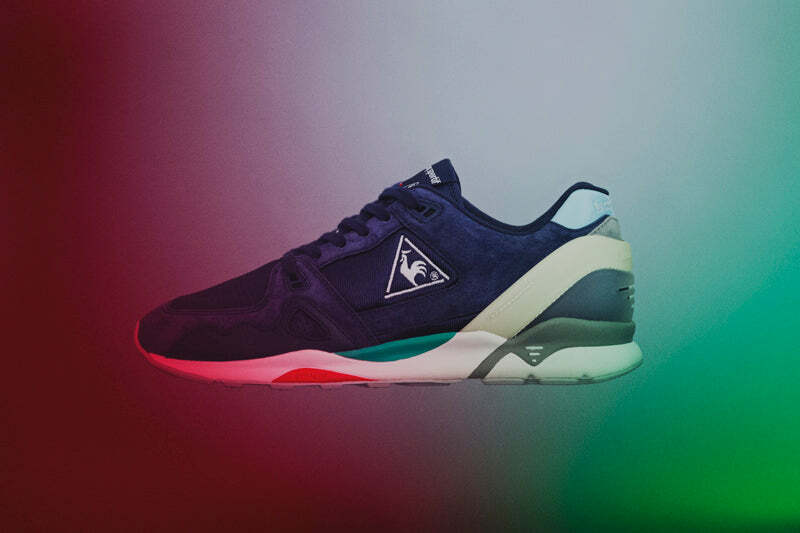 The brilliant colours are inspired by the archive EUREKA shoe co-created with Shigeyuki Kunii, creative director for mita sneakers. 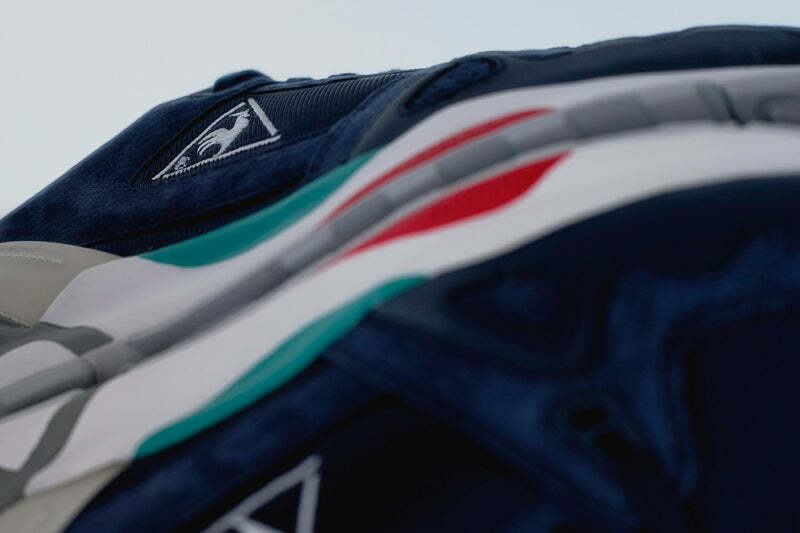 The red, blue, green, and beige accents punctuate the shoe’s contour and bring out the main navy colour. 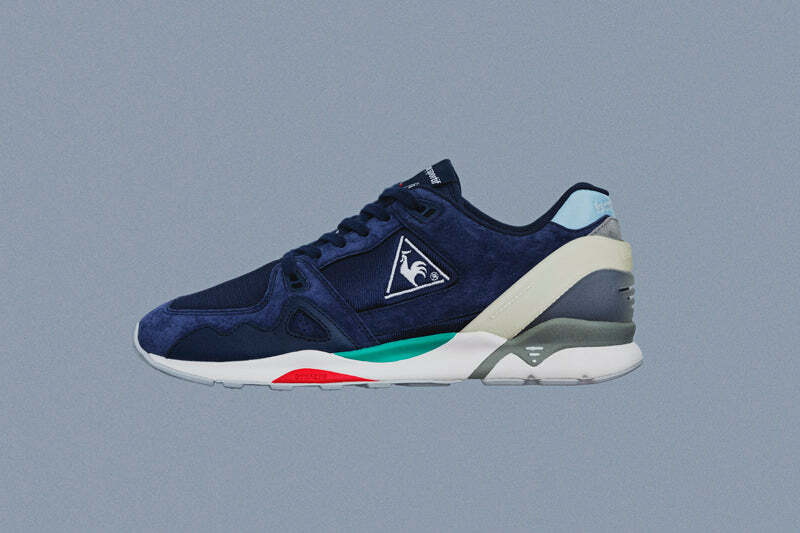 These hybrid sneakers’ original design is accentuated by technical characteristics like Aérotop Open Mesh technology, which makes the shoe breathable. 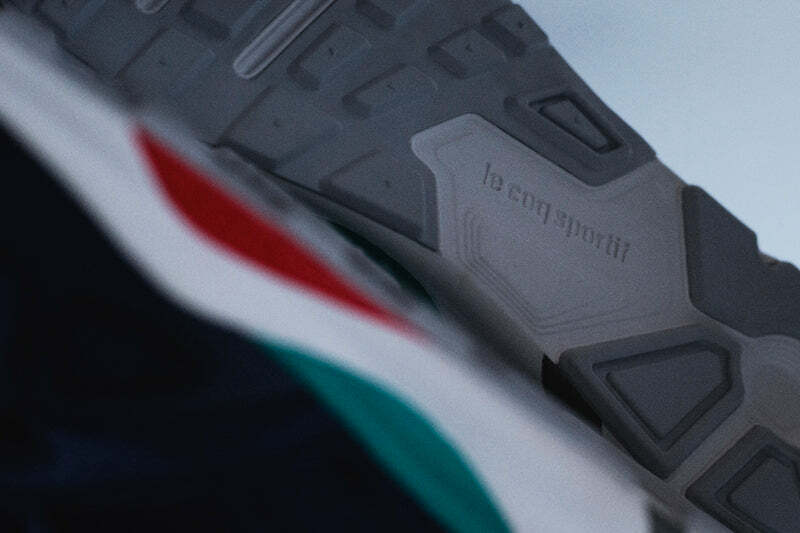 The sole is printed with the text « (Tokyo Kai)» the official mark of the collaboration with mita sneakers.